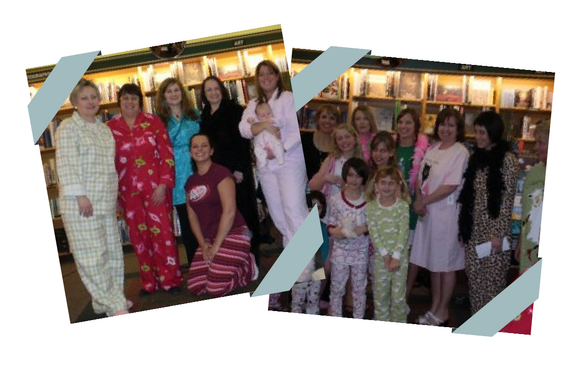 Associated Sleep Services sponsors a Pyjama Party during National Sleep Awareness Week (beginning of March). The 2nd. Annual Pyjama Party took place on March 10, 2010. Photos below are from the 1st. Though may of us lose sleep because of sleep disorders, there are other reasons for not sleeping well. In a feature by Shelley Sawatzky in Living Light News. (Jan/Fab. 2009), David Meece, renowned pianist and composer, describes his childhood experience. David’s mother frequently drove to a hiding place in the woods, where they sat in the car all night long. Arriving at school without books, or falling asleep in class, often brought detention. But the children were too ashamed to explain why. When David was 10 years of age and preparing for bed one evening, a car suddenly ploughed through his bedroom wall with a loud explosion. Stumbling out of the vehicle, his drunken father declared he was going to kill the whole family. In an effort to ensure everyone has a safe place to sleep, Associated Sleep Services encourages everyone to support the crisis shelters in your community.